Below is a list of resources I found across the web that I found to be helpful in learning routing and lingo, especially as I played through my first aLttP Randomizer run. A lot of these links throw around terms defined in this glossary pretty casually, so feel free to use our Glossary page for help defining them! http://alttpr.com/ has everything you need to start playing Rando yourself. The site also contains a lot of answers to questions about Rando in general like version info, logic, etc. that is worth checking out if you have questions. The first resource is arguably the most comprehensive: a Google Doc containing links to a metric ton of good information, most of it in Google Doc form. There’s item info, frequently missed item locations, more maps, dungeon items…the list goes on. Check out this link! Thank you to abraxas, aka Hurfydurfy for providing this resource to the site. Legend Of Zelda: A Link to the Past Randomizer Overworld Item Locations Guide created by Sakura Tsubasa. Contains a really useful map and labeling system for all item locations. Stumpy is a Link to the Past Item Tracker by Wolfman2000. It’s honestly about as helpful a tool as you could hope for to keep track of not only items you have collected, but locations where items are attainable based on what you’ve already collected. Highly recommended! Sakura Tsubasa comes through again with another helpful resource page: aLttP Randomizer Trackers. Thanks Sakura! Fabio Ortolan put together a super helpful item tracker that I used when doing my 2nd aLttP Randomizer run. Really helpful to be able to keep track of the item locations you’ve checked and scope out the ones you haven’t checked yet. Two versions: Full and Simple. Legend of Zelda: A Link to the Past Maps by Ian Albert. Obviously maps are helpful to have! There are also quite a few of these maps linked from the glossary to help illustrate where item locations are or what they look like. aLttPR Reddit may contain helpful info if you have questions. I admit I’m not much of a Reddit guy myself, but Reddits have certainly been known to be a good source of compiled knowledge for any community. If you’re into aLttP Randomizer races like me, then the aLttP Speedrun Wiki can be especially helpful to define general terms about going fast in Rando, such as glitch explanations. A lot of the glossary pages contain links to this site. 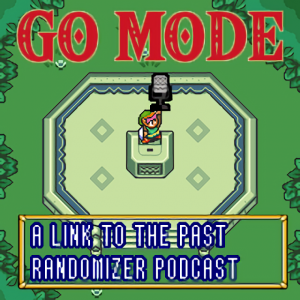 And finally, the most comprehensive aLttP Rando resource there is: Other Rando runners! The aLttP Randomizer Discord is always active with smart, experienced, and most importantly helpful folks who would be happy to answer any questions you have, from basic to convoluted. Do you know of any other aLttP Randomizer Resources we should include here? Have one of your own you’d like to make me aware of? Use the form on this page and submit your suggestion!